Yesterday, I came across the Despot Index published by Newsweek on 3 April 2011. The despot index shines the spotlight on some of the world's living ruthless and authoritarian dictators who exercise absolute control over millions of people and crackdown on any perceived or real dissent. Besides highlighting the names of despots, the index includes their photographs, nicknames, trademark, worst crime, ill-gotten gains, future prospects amongst other things. I found the nicknames particularly interesting and they speak for themselves. The nicknames include, The Lion, The Bulldog, Field Marshal, et al. According to Newsweek, over 400 million people live under the "iron fist" of the "nasty tyrants" listed in the despot index. The despot index by Newsweek, in my opinion, is far from complete and most of the listed despots retain a firm grip on power either through intimidation or electoral fraud. Large scale human rights violations and other atrocities committed under repressive regimes of despots are well-documented, but it remains to be seen whether they will be brought to justice in a national or international criminal court. Check out the despot index. Perhaps your Head of State made it to the list. 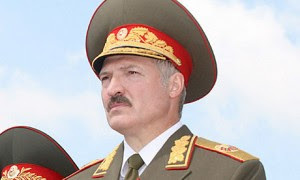 *Photo: Alexander Lukashenko, President of Belarius.